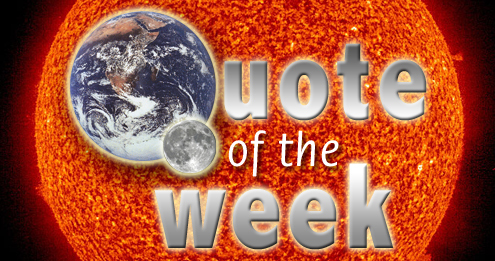 Quote of the week – Nature on the failure of climate models | Watts Up With That? An article published today in Nature laments the dismal failure of climate models to predict climate a mere 5 years into the future, much less a century from now. “Although I have nothing against this endeavour as a research opportunity, the papers so far have mostly served as a ‘disproof of concept’,” says Gavin Schmidt. Schmidt says that these efforts are “a little misguided”. He argues that it is difficult to attribute success or failure to any particular parameter because the inherent unpredictability of weather and climate is built into both the Earth system and the models. “It doesn’t suggest any solutions,” he says. Limited in what they can say about the future? Since when? Somebody please tell Jim Hansen he can’t say “the oceans will boil“. h/t to the Hockey Schtick. Does this mean it’s OK for people to stop pretending they believe IPCC AR projections? Jeff? Maybe your theory is wrong? Maybe that could start with the folks at US EPA, who could begin by vacating the endangerment finding based on the IPCC’s “work”. The trick now for these guys is to put their warming predictions off until they are safely in retirement and no longer accountable. Schmidt makes a good point that the approach of summing up the measured changes in climate “drivers,” projecting the rates of change into the future, and using that to predict future climate has been given a fair trial and has come up short. Even when the magnitudes can be reasonably easily calculated, the mechanisms can remain elusive. And yet they call those who ask the same questions (why) all sorts of childish names. But they admit they have no clue what they are talking about. Is anyone else struck by the discontinuity by which we suddenly decided in the 1990s that we could forecast global average temperatures for the next 100 years within a degree or two? Why did anyone ever believe that was possible? There was never any evidence for such a capability. The inability to match reality for even 5 years invalidates the entire effort. Any new funding should be tied to a public admission of failure and a ten year media silence. What total complete and utter BS. Climate Models are just computer models that do what they are programmed to do. They do NOT fail and can never fail – they do what they are built to do and no more and no less. The FAILURE is with CLIMATE SCIENTISTS and in particular those that made grandiose catastrophic predictions instead of admitting that there is still a lot that we don’t know that we don’t know about climate. The FAILURE is with THEM. The FAILURE is also with the UN IPCC, Western Governments, media and NGO’s like Sierra, WWF and Greenpeace. These organizations are no longer trustworthy to present science in a balanced unbiased manner – they appear to be governed by agendas and self interest (money) and have completely lost any sense of moral compass. The FAILURE is with THEM. I have learned that it was never about the climate. It is about the money. The redistribution of wealth was from the ordinary folks to the friends of the rich and powerful through something called “green energy”. You can’t call a politician anything worse than calling him a “politician”. Maybe a threat to mankind is close. Hear hear. That applies the blame to where it belongs, not the ‘models’ which are merely helpless pieces of Code and Algorithms. Well, they say that “past preformance is no guarantee for future performance”. Thus, when “past performance” was utterly dismal, future performance could be brilliant, possibly, hopefully, who knows. These people must be unreformed optimists. It is “a little misguided” to try and understand why the predictions were so wrong. If arrogance comes before the fall, then that attitude is it. In a real science trying to understand why your models fail is at the very centre of the quest. The UK Met Office admit it too 30 years to make 4-day forecasts as accurate as 1-day forecasts, so how can they even contemplate x-year forecasts, e.g. 5, 10, 50, 100, especially when the changeability and uncertainty from day-to-day multiplies with every extra day. The failure of the “climate scientists” has not stopped Obama’s EPA from continuing to destroy the economy through energy regulation. Pump the monetary policy turn off the energy. Although I was surprised to see this article in Nature, since they have been AGW cheerleaders/doomsayers in the past, they probably had no choice to print an article like this or they would face a complete loss of credibility. Of course IMO, they have already lost their credibility and are trying to regain it. It (the model) begins to drift back to its preferred climate? Does that mean what it sounds like it means? Because it sure sounds like it means that regardless of the initial inputs, the model is going to end up “drifting” to a preordained (“preferred”) climate prediction. Preferred by the modeler, no doubt. Make a forecast using a dart board; build the model that eventually generates the dart-board-selected result regardless of initial inputs; select inputs; get expected result. I find this to be a very interesting statement. The UK Met. Office used the Smith et al study as the basis for their prediciton of future climate. Then, at Christmas 2012, they quietly changed the forecast, but gave no reason or analysis about this change. If Smith is right, and I suspect he is, and they dont know why his study did not give the desired result, what is the basis for the Met. Office believing the new forecast is any better that the old one? Climate models are wrong because their basic assumptions are wrong. Trenberth lives in hope but if the models are wrong now they will become worse as time proceeds, this is obvious to all except those who depend on them for their income. If childish name calling were their only sin, I’d rejoice. Much worse is that they want to rapidly and drastically change the way we produce and use energy. In their feeble minds, “saving the world” (or more accurately, thinking that you’re saving the world) justifies any and all kinds of idiocy. Personally, I think the day that such a farmer turns over any money to a climate modeler will be a long time coming, although farmers do pay out for private weather forecasts. lf the modelers can blur the distinction between climate and weather, they might just find a few suckers out there, outside the government, that is. Alternatively, they could convince government forecasters to purchase them and provide them free to the public, which could then safely ignore them. Here is a quote from a recent post on the State of the Climate wars from my blog at http://climatesense-norpag.blogspot.com. “.Fig 1 is but one illustration among an ever increasing number, of the growing discrepancy between model outputs and reality.This disconnect has been acknowledged by the establishment science community which is now busy suggesting various epicycle like theories as to where the “missing” heat went.Some say its in the oceans (Trenberth) some say its due to Chinese aerosols (Hansen) but the all main actors still persist in the view that it will appear Lazarus like at some unspecified future time.This is like the Jehovah’s witnesses recalculating the end of the world each time a specified doomsday passes. In Britain , the gulf between the Met Office expectations for the last several years and the actual string of cold and snowy winters and wet summers which has occurred has made the Met Office a laughing stock-to the point of recently holding a meeting of 25 “experts” to try to figure out where they went wrong. In short – modelling is not a useful way of making climate forecasts. For a better method check my blog via the link given above. If you can’t hit the broad side of a barn at 25 feet, you aren’t going to hit the target at 100 meters. You can’t say they failed when they do what they were paid to do. And arguably successfully; the entirety of EU societies has successfully been transformed into communitarians – to a point where even people considering themselves as rightwingers talk like Lenin and don’t even notice. does this mean they are going back to the Scientific Method way of doing research? Whoever wrote that cannot think straight. Climate is defined as the 30 year average of weather. A 30 year moving average can by definition NEVER change “drastically” from year to year. It’s too late. We have runaway greenhouse political science policy effects now. To paraphrase from the movie “Cool Hand Luke”: What we got here is… failure to prognosticate. Smith’s team used its standard climate model, but broke the mould by borrowing ideas from the way meteorologists forecast the weekly weather. The “Nature” article that accompanies this post by Anthony Watts is remarkable. Because your models are rubbish, perhaps? Nah! Couldn’t be that. Climate science falsely believes that for any given combination of forcings there is only 1 equilibrium temperature for the earth and only 1 path that will reach equilibrium. The spaghetti graph of the climate models are telling us quite the opposite. The models show that for any single combination of forcings there are a many possible future temperatures. This range of possible futures shows us that there is inherent variability in climate that is independent of the forcings. The models are deliver a message that is absolutely clear, Weather is chaotic and the average of weather (climate) will vary naturally over time as a result of this chaos. It will not converge on a single mean because chaotic systems can be better understood as having many means, one for each attractor. For example, daily temperature has a mean, but this mean varies wildly over the period of a year, and varies even more of the period of the ice ages. Trying to analyze this in terms of a single mean results in statistical nonsense. Which is why the climate models are failing to model reality. The chaotic model of weather and climate tells us that a single mean cannot be resolved mathematically. It is the mathematical equivalent of the N body problem in orbital mechanics and quantum mechanics. The best that can be done is to place bounds around the problem. The climate models show us a glimpse of these bounds. The top of the spaghetti graph is the upper limit and the bottom of the spaghetti graph is the lower limit, and what will actually happen is that real temperatures are likely to be found within the bounds. But exactly where can only be predicted by a throw of the dice. For all intents and purposes, a chaotic system is a bounded system where chance determines the true answer within bounds. Physically this may well not be the case, but mathematically this is as close as we can get to the real answer because we cannot solve the N body problem. It results in an infinitely long series expansion. The best we can do is to round off the infinite series both up and down, and say that the answer lies somewhere between these bounds. Where exactly cannot be predicted to any better accuracy than is given by a throw of the dice or a toss of the coin. The primary tone of the climate scientists responding in this article is one of suspended disbelief (denial) that their strongly held position cannot be verified by the work they do. It has to be a very disheartening feeling. My thoughts are with them as they adjust to this new reality. I am awaiting the next Nature article on the next stage of grief – the pain and the guilt – for what their unsubstantiated beliefs have wrought on the world. Because the N body problem is intractable, climate science would be much better off to stop talking about the ensemble mean. It will simply make them look foolish because chaos almost always guarantees that reality will diverge from the ensemble. Instead, Climate Science should drop the ensemble mean and replace it with upper and lower bounds, representing the inherent uncertainty in the system. Put two lines on the temperature chart. One high and one low, and say that the real answer lies somewhere in between. And then be honest about this. The answer is no more likely to be found in the middle, 1/2 way between the limits, than it is to be found anywhere else between the limits. Stop pretending that the real answer lies in the middle. It may, but chaos tells us the middle (ensemble mean) is not more likely than any other answer within the bounds. Now round this series off high and low. The ensemble mean is the extra 5 at the end, but the real answer is 6….. However it could just as easily be 1… or 9…. So we might as well toss a coin because the average is no more likely to be correct than any other possibility. It is a poor craftsman that blames his tools. 1)	AGW based climate models have failed in their predictions to an abysmal degree and the truth of that is being acknowledged. 2)	No one knows why the models have failed (note: they fish around for possible reasons EXCEPT THE OBVIOUS; that AGW’s “positive feedback” theory is wrong). 3)	Much more work must be done (and money spent) to research the problem and improve the models. That will take decades. The article closes with a modest proposal I will paraphrase as, “Maybe if we put all the different climate models together in a kind of voting system they can tell us something worth knowing”. Call me jaded but ………..
“a decade or more”……. I’ll take that to mean his retirement begins in about 14 yrs. The nature article is throwing the near-term projections under the bus. The article implies that the long-term projections are ok though. I agree. who can trust them now. They threw their lot in with the Warmists, Thereby alienating any skeptics. Skeptics no longer trust their publication. Now, they’ve bitten the Warmists hand and they’ll be ostracized by them too . Who will read their rag now? Not me. Although I like watching them backpedal. The truth outs itself, given time. Tom – at the very least, the whole climate industrial complex ™ needs to restructured and streamlined for efficiency. So many tax dollars (that we really don’t have) utterly wasted on dubious research projects and inefficient facilities. For example, why would anyone in their right mind maintain a very expensive branch of NASA GSFC in downtown New York City??? Meanwhile, the uninformed public, relying on a headline here, a paragraph there, continue to have their point of view controlled by the same high priests of climate – Trenberth, Schmidt, Hansen, Mann, etc. All the major news outlets invariably quote the same handful of climate zealots over and over and over. The media will occasionally run a story that is counter to the CAGW meme, but they always include a quote from one of the high priests of climate to minimize any damage to the CAGW doctrine. I would like to put a question to the Wet Office’s Julia Slingo & Vick Pope. Just how many people have o die on our un-gritted roads de to failed snow forecasts, how many elderly people have to have to freeze to death because they cannot afford to heat their homes, please, put a number on it before you sit up & think “maybe we’ve got it wrong?” What is it? 10, 100, 500, 1000, 5000? Do tell me! Oh, my, what next? People will wake up and realize 400PPM of an innocuous gas has nothing to do with the temperature of the remaining 1,000,000PPM (close enough)? While I agree that there are quite a few well intentioned but merely misguided climate scientists out there, the more vocal ones, e.g. the ‘Team’, are ‘True Believers’ and will simply take a bounce and rationalize their way to the next catastrophe. In short, the heat is still there; rather than being expressed in more volatile changes in atmospheric temperature, energy is being picked up in the thousands-fold greater reservoir of the ocean. The limitations of models to provide exacting predictions has actually been discussed for a long time. That does not detract from their utility as analysis and forecasting tools, nor allow us to dismiss empirical observation which demonstrate very clear human-driven changes occurring in our climate. *Even if* data proved change was taking place more slowly (which it does not), all that does is give us more time. It does not give us a “pass” to continue business as usual….. So are they going to retract all those papers who made claims based on computer models? It seems as though a lot of the science is based on these. Models are either stochastic or determinate. A determinate model only works if all factors are known over the entire possible range of variables. That is far from true, here. We can’t accurately calculate much, and certainly not rain, clouds, ENSO, and most other phenomena. A stochastic (random) model must tuned to emulate the distribution of actual system outputs as they occur over a period of time. The resultant model is not reality, it only emulates reality over a short span. It wiggles, just like climate. But once outside that time span, the model is useless nonsense. Even within the span of standardization, there will be significant drift from reality as the model’s random number generators fail to simulate actual weather, giving the modeler only meaningless wiggles with no connection to reality. The average of garbage is garbage. *Even if* data proved change was taking place more slowly (which it does not), all that does is give us more time. It does not give us a “pass” to continue business as usual….. The FAILURE is also with the UN IPCC, Western Governments, media and NGO’s like Sierra, WWF and Greenpeace. … The FAILURE is with THEM. No, the failure is with YOU. Your faith isn’t strong enough. You gotta BELIEVE brother! Trenberth must have about 10 years until retirement – gotta keep that money pumping! Interesting tacit admission that current models have no skill. 1) more slowly than what? 2) Are you saying that, regardless of what the data says, we have to ‘do something’ about that which has not been shown to be happening? Because the restaurants are good? I’m having a hard time reconciling the following statement in the article with “the science is settled”. I beg your pardon Jdallen, the limitations of the models to provide exacting predictions absolutely detracts from their utility as forecasting tools. It’s possible Steven Mosher (who I hold in high regard) will be along to tell us presently that the models are good, that we all use models, that we essentially couldn’t unzip our pants to urinate without using models, etc., and he’ll be right about all that. The only thing I object to, quite literally, is that we collectively expect these models to provide accurate projections in the face of evidence that shows that the models do not provide accurate projections yet. I don’t understand why this is so difficult for people to get their heads around. It’s essentially saying that each model has its estimate of climate sensitivity and a few other parameters. Simplistically speaking, these models model how energy from the sun flows into various earth systems and back out again to produce an average of the global temperature. You start with a temperature estimated from the instrumental record for a given time where you also have decent estimates for all of the inputs (CO2 level, volcanic activity, aerosol patterns, methane level…) and jiggle the parameters around until the modelled temperature matches the estimate from the instrumental record. Given no change in the inputs, that model will then keep on producing the same temperature – it’s at equilibrium (if you’ve done it right). Then you disturb the model by changing one of the input parameters. its temperature estimate will begin to change and (assuming you’ve made a stable model) it will settle at a new equilibrium. But each model will settle at a different equilibrium because each one used a different combination of parameters to match that original temperature estimate. Model A might have a very high CO2 sensitivity but a very low methane sensitivity, for instance, while model B has a very low CO2 sensitivity but a very high methane sensitivity. They will both match the instrumental temperature estimate for a given time, but in model A the heat is mostly trapped by CO2 while in model B it is trapped mostly by methane. But if you change the CO2-concentration input to both models, model A will produce a much higher temperature than model B. Whether those different responses to input reflect reality or the researchers biases depends very much on the process they used to tune the model. If you base them on theory-based estimates of model processes and parameters then you’d probably say they reflect reality, while if they are just adjusted to arbitrarily match the instrumental estimate then they reflect either the modeller’s prejudices or are entirely random. The problem is that using the best theoretical estimates of model parameters never produces a model that matches reality even at one point in time, let alone through time. This simply reflects the fundamental defect of climate modelling: We don’t know enough about the system to model it accurately. On some aspects we understand the processes but don’t know enough to estimate the parameters with any certainty. On others we’re entirely ignorant what drives the processes (such as the PDO, AMO etc). No doubt there are entire processes that we don’t know about, or which are still controversial (cosmic ray cloud seeding, for instance). So every climate model, to a greater or lesser degree, is either a tedious curve-fitting exercise, only valid for the range the curve was fitted over, or reflects the prejudices of the modeller. It’s no real surprise (or shouldn’t be) that they spit out garbage. Wow. Where’s ‘smart guy’ Ryan when his friends need him here? ‘even less’? That is one remarkable understatement of one’s own work! Even for a climate modeler. ◾“Although I have nothing against this endeavour as a research opportunity, the papers so far have mostly served as a ‘disproof of concept’,” says Gavin Schmidt. Schmidt says that these efforts are “a little misguided”. He argues that it is difficult to attribute success or failure to any particular parameter because the inherent unpredictability of weather and climate is built into both the Earth system and the models. “It doesn’t suggest any solutions,” he says. What’s misguided; the papers, ‘disproof of concept’, or climate models themselves? Given Gavins ‘inherent unpredictability of weather’ admission, I must conclude that the climate models are the misguided efforts. How is that model effect accurate in any sense? programming a model to emulate today and yesterday’s weather is not accuracy in any sense. As much as the models backcast weather, their intention is to forecast future trends and the models fail accuracy at their intended function. Trying to declare success through failure by misdirection claiming backcast results are accurate is another CAGW fantasy world view. Oh yeah, another misdirection; this time hoping that where temperature trend declines, so must it rise… eventually. When that rise occurs, all CAGW true faithful will jump, shout and sing that their models have successfully forecast the future. Even after decades of failure their omniscient propaganda models will finally ring true; just like a stopped clock, twice a day and just as convincing. It’s just amazing the intellectual power of these (in)famous climate scientists. ……..Just checked wiki…… Trenberth is 69 presently and has probably filed all of his retirement paperwork already. This is one of the most profoundly stupid things I have ever read. Translation: Our previous and current predictions are wrong. You need to wait ten years to see see that we were right, but don’t count on it. Awesome. Give that man some more money. @Fred Berple. Yes, chaotic dynamics limits what can be predicted and the modellers should understand that quite well but somehow don’t. Strangest of all is that the great modelling guru Kevin Trenberth was a Ph.D. Student of Ed Lorenz. I’d like to see some law suits for cost recovery and recovery for damages, deaths, poverty, and lost opportunity these modelers and climate hucksters have caused. This has been a true travesty. And an apology. There needs to be an apology. But according to the President, those who doubt the climate crisis are flat earthers and should be ignored, if not ridiculed. Piers Corbyn predicts climate patterns fairly well with an 80 % approx accuracy. Let’s face it, Solar cycles modulated by lunar and axial tilt/proximity cycles are the overriding input, the system is determined by the exterior influences on it’s current state. Oceanic cycles are merely a consequence of these factors. I can understand that as a meteorologist Watts may be a bit miffed at Corbyn’s dismissal of meteorological predictions and focus on external influencesm, but Corbyn’s track record speaks for itself. Demetris Koutsoyiannis and his co-workers showed in 2010 that climate models can’t predict climate. In 2008, I showed that climate models can’t make predictions period. The error bars are so large that no model yields a unique solution. It’s impossible to test models against any conceivable observable. It wouldn’t matter whether the climate was still warming, or not. Climate models would not and could not provide an explanation. They could do only what they have been used for up til now: provide a pseudo-scientific convenience for a political agenda. No, no, no. The models only “tell” us this if the models correctly represent the earth’s climate. All we can say at this point is the models are wrong and do not work. By plugging in actual values for the ocean and atmosphere, researchers pull the model away from its natural state. I believe the problem with the models is that they don’t consider that the CO2 is already absorbing all the infrared radiation in the specific wave lengths. Adding more CO2 will not increase the temperature because there isn’t anymore radiation in the wave lengths it can absorb. No wonder Schmidt doesn’t like near-term “climate” forecasting. Being shown laughably wrong in five to ten years is worse than disastrously wrong in 87 years, when long gone. To the extent that the models embody the assumptions and theorizings of the AGW paradigm, it has to be accepted that the disparity between their predictions and the observations invalidate those assumptions and theorizings. In science, actual science of the Scientific Method approach, hypotheses are tested against the predictions they make. And if those predictions fail, then it is the hypotheses that must be reworked, reexamined, or rejected instead of trying to fudge the observations to make them match. If you let a member of the “team” construct a model of “how to unzip your pants”, and you use that model, you’re going to have wet pants. They have political and economic support to promote and support the UNFCCC with policy based science. The key is to find those that are behind this policy based science and make shure they loosetheir controlover this scheme? We really know why but it doesn’t matter because we must stop using carbon fuels immediately. :> No, I use a model developed some years back by qualified field researchers (my children while potty training). It works fairly well for me. Schmidt says that these efforts are “a little misguided”. He argues that it is difficult to attribute success or failure to any particular parameter because the inherent unpredictability of weather and climate is built into both the Earth system and the models. “It doesn’t suggest any solutions,” he says. That right there is the money quote. According to Schmidt, nothing about the current process should change since there is nothing specific to focus on. The models should not be discounted or ignored, despite their lack of near term accuracy. We are simply stuck with them as is. Wonderful. These near-term forecasts stand in sharp contrast to the generic projections that climate modellers typically produce, which look many decades ahead and don’t represent the actual climate at any given time. This is a euphemism for ‘climate models are utterly useless for any purpose’. May I suggest that they re-run their models with the code that implements the assumed effects of CO2 and its related postive feedback inactive. I’ll bet they would then come a lot closer to matching the real masured data. Nature, the journal, is warmist; and owned by a German publisher, which you can safely assume to be ultra warmist; that’s the null hypothesis for Germans. So the question is, why do they throw the models under the bus. Maybe warmism has served its purpose and the powers that be are preparing to use a different tool in the future. People must understand, the models are divine, therefore perfect. It is the data that is the work of the devil, therefore flawed. A thorough search of all articles, posts, or comments by Alarmist climate scientists or their supporters will not yield one hit on a substantive use of the word ‘explanation’. The reason is that scientific explanation absolutely requires well-confirmed physical hypotheses, aka physical laws, and Alarmists have none beyond Arrhenius’ original work. Alarmists depend entirely on computer models or time series analysis of questionable data. It is not possible to engage an Alarmist in discussion of scientific explanation or the larger context that is scientific method. Why? In some cases the answer is ignorance of scientific method. In other cases the answer is an unwillingness to face the challenge of scientific method. There is no scientific prediction without use of relevant physical laws. A scientific prediction is a demonstration from the relevant set of physical laws that a particular event will occur at a particular time in the future. ….that the climate hasn’t warmed is one of the biggest mysteries in climate science… Wow how blind can you get? Com’on you can think of a reason! We’ve been trying to tell you for years. lt seems that they are slowly waking up to the fact. That they is going to be little risk of runaway warming while the Polar jet stream remains in its current waving pattern. I have access. But I don’t know if access is open to everyone. If it is, I urge anyone and everyone to read this two-page, very readable human-interest commentary. Please read it. I say read the entire thing while repeating this to yourself. Then, think of Obama’s insults about flat-earthers, and Mann’s insulting demeanor toward skeptics. This article, to me, looks like total vindication to skeptics. This is the step back from the ledge. This is the apology. This is the reality check. This is the tipping point. The notion of “settled science” is so comforting to political types: You don’t have to ask questions, examine evidence or think. Just get right on to the fun part – pushing everyone around. It’s been done already. One of Hansens models assumed no change in CO2 after the year 2000. Oddly enough, that one comes pretty close to reality, certainly much closer than models that used increases in CO2. It all implies that marginal CO2 increases have little, if any marginal effect. 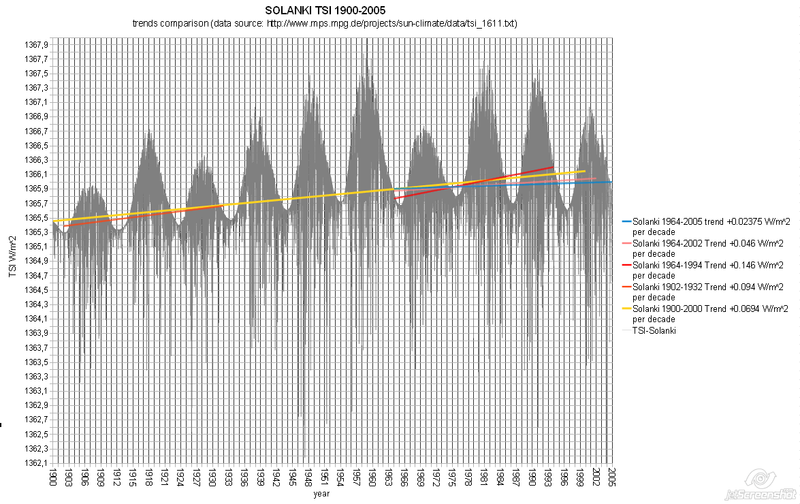 While the TSI trends were still rising well up until 2000s (in fact the turning point of a 4 decades trend since 1964 solar minima to downward TSI trend slope is March 2006 when using Solanki TSI reconstruction data) if they did the modeling in 2005 they likely haven’t had idea about the forthcoming rapid solar activity trends decline which can be now seen both with sunspot number and TSI. One likely can hardly imagine they coud know it then and incorporate it in their models, especially when we consider the alarmists usually have not much clue about the solar activity variability climate influence, and quite often they even believe the solar activity didn’t rise since 1960s (-which is patently false: for example the 1964-1994 TSI trend using Solanki TSI reconstruction data is +0.146 W/m^2 per decade and the 1964-2002 TSI trend is still + 0.046 W/m^2 per decade – while, moreover, the TSI series comparison shows the satelite TSI series, especially the ACRIM -well agreeing with SORCE-TIM, would likely give even slightly steeper TSI trend slopes), and they sometimes don’t include the solar forcing in their considerations at all. Now they wonder why the surface temperature anomalies don’t rise with the rising CO2 content in the atmosphere, are baffled with this “mystery” (and their “global warming cargo cult” is apparently still expecting the cargo arrival: ”The dramatic warming predicted after 2008 has yet to arrive.”) and even the more than decade long warming stall should ring the bell and rise a Kremlin size red flag they don’t much care and instead are not much reluctant produce various more or less absurd explanations why it is so while still keeping their petty CO2 hypothesis up – except go back and reconsider the solar activity variability influence. It’s funny. But the reason for their failure is not just the declining solar activity at rates now comparable to the rates leading to Dalton minimum (and the now significant downward slope TSI trends they rarely consider and never incorporate in their models), it is also the fact that ocean in fact never can be significantly heated by a GHE (even if the GHE would be enhanced by the rising CO2 concentration in the air). That’s because water is relatively extremely opaque to mid-IR spectras at which the atmosphere radiates, so the mid-IR cannot significantly penetrate the ocean and heat it anywhere under like tenth of milimeter ocean surface skin (where almost only what the mid-IR backradiation enhances there is the water evaporation taking considerable latent heat with, transporting it then up to the atmosphere). This results in ocean loosing heat now considerably faster than the solar radiation (the solar spectra unlike the mid-IR spectra penetrate the ocean well, million times better than mid-IR spectra) replenishes it throughout the epipelagic zone and while the ocean’s immense heat content upwelling (warmer water relatively rapidly upwells vertically due to its lower density and has of course no need of ocean currents to transport it on the surface) still more or less offsets the decline in the solar heating of the ocean surface layer, it will not take long to the point when the ocean surface temperature anomaly starts to decline significantly and with it inevitably also the surface air temperature anomaly. This result could be now deemed inevitable, because further significant decline in solar activity is now sure at least for the rest of the current solar cycle, which means until 2020s and highly likely for whole the current Hale solar cycle SC24-25, which means until 2030s. By then the surface temperature anomalies decline would be well in the realm of statisticaly significant decline, while the CO2 content in the atmosphere will be still very significantly rising and so the resulting very significant CO2/surface temperature anomaly anticorrelation will eventually end the CAGW hype as one the biggest scientific blunders in the history. So, the failure of their predictions does not undermine their predictions, but apparently it does raise the larger question of whether their predictions are wrong. –This comment from Rod gets to what I have tried to express in a comment in another WUWT post I think yesterday about modeling. You either get a runaway model, or one that does not run away. we have been told that there are tipping points and that the climate will run away to Armageddon. This is because as far as we know up to this point in history, there is some overall governor function operating. The fact that we are here across time incalculable indicates that either this atmosphere is incredibly lucky for us, or there is some ultimate governing parameter that keeps various influences from running a huge positive feedback loop to oblivion. I think models thus have to begin with the concept that behavior will be in some range. Then, proceed to add pieces of variability within that overall behavior. For the AGW Cult, the cause has been to show the opposite: that we have been fortunate ever since – I don’t know – either the dawn of the planet, the dawn of man, or the end of the most recent genuine ice age – but our good fortune has run out, and we are about to see the runaway climate behavior. You can walk a tight rope or balance beam for a while, but you eventually fall off. AGW says the hospitable climate has been a tightrope walk but we are abt to suffer the inevitable loss of balance, as swaying one direction wildly to catch balance throws us wildly in the other, to the eventual fall. Predictions are descriptions of the future from which appropriate actions can be chosen with considerations of the uncertainties in the description. Projections are descriptions of the future which can be used, retrospectively, to assess the understanding of the systems that were used in the making of that projection. You can’t make a policy on a projection. You can only refine your knowledge of the uncertainties in the predictions from evaluation of a projection. But many people in positions of responsibility make policies on the basis of IPCC projections. Inevitably, the argument is about the models’ predictions of global average temperature. Averages can hide a multitude of errors. Temperature is not climate. What climates do the models predict for particular regions? What would these models predict for the future for the case where GH gasses are held constant? Do they stabilize or diverge in the long term? Do the long term future seasonal weather forecasts have features that we know and expect such as blocking highs, jet streams, hurricanes? “Kevin Trenberth, a climate scientist at the National Center for Atmospheric Research in Boulder, Colorado, says that it could be a decade or more”, much much more indeed there is no time limit as to ‘when ‘ it could be so he can always claim his ‘going ‘ to be right . No sceince in this of course but it matches the approach seen in relgion very well. Aren’t they ONLY really lamenting the ability of climate models to make near term forecasts? It really wouldn’t be that hard if these folks let go of their obsession that CO2 is the control knob of climate and that the Sun does nothing. And realized the ocean wags the atmosphere, not the other way around. Although the atmosphere largely controls day-to-day weather, the slow-moving oceans hold so much more energy and heat that they dominate how the climate changes from year to year. Researchers suspect that much of this variability is tied to widespread cycles, such as the El Niño warming and La Niña cooling system in the eastern tropical Pacific. I admit I didn’t read the paper but from the summary of the main points it almost sounds like some of them are blaming the failure of the climate models on the weather. Does that sound right to those of you who have read it? I have no idea why anyone is getting excited about this paper. It’s claiming that decadal forecasts don’t work. Really? Not much of a shock. It says nothing about longer term forecasting. The underlying assumption here is that the IPCC modelling is still solid. Reading the article and some of the responses about how the Scientists don’t know, I once again compare this situation to another one. There are also stock market experts who following some points of view, don’t know anymore than the rest of us, or more than something like an S & P 500 index mutual fund whose return they frequently cannot match. One perhaps rational investing choice is to admit the experts don’t know much and go with index funds. This is betting your money based on the assumption that the experts don’t know much. We in the United States have bet our money on the assumption that some Climate Scientists have that knowledge, that they don’t seem to be able to demonstrate they in fact have. Perhaps it’s time we switch to a more neutral position of not knowing. I acknowedge there are weather related Scientists and others that can give useful short term forecasts that businesses find valuable, and that medium term forecasts will improve as the Science improves over time. Pauline Kael, New Yorker Magazine film critic, once supposedly said she didn’t understand how Nixon won the election, since she didn’t know a single person who voted for him. Trenberth says “it could be a decade or more before this research really begins to pay off in terms of predictive power, and even then climate scientists will be limited in what they can say about the future”. I wonder where we would be if climate science HADN’T been derailed for 30+ years. Is it just me, or isn’t this a huge bombshell??? The models are right, obviously. That is beyond question. So we do know what the climate will do. But the climate isn’t yet doing what we know it will do. We don’t really understand at the moment why that is. Hasn’t it been blazingly obvious to most people that self-selected climate “scientists” are second- or third-rate intellects? I’d go even further and say that all eco-loons are in possession of sub-par intellects. How else could they so fervently believe all the green nonsense? Wait a dog-gone minute! Isn’t he science settled? Thanks,Pat. I always benefit from reading your comments. Nature has just smacked head first with reality. We told ya so. “Kevin Trenberth, a climate scientist at the National Center for Atmospheric Research in Boulder, Colorado, says that it could be a decade or more before this research really begins to pay off in terms of predictive power,…. Within the last 2 weeks the WMO announced that 10 years was good enough to see changes but others say that the 15+ years of temperature standstill is not long enough – because a COUPLE of the climate models predicted projected it. THIS IS A FARCE. Anyone who plays a computer game or two knows that there are still bugs and exploits in it, almost every game suffers from this, and that it needs regular updates to adress those bugs and exploits. Just the suggestion that these (climate modelling) programs can’t be wrong …. unless you want to cheat at the game you are playing and start using those exploits and bug to obtain the upper hand in that game. “The spaghetti graph of the climate models are telling us quite the opposite. A wrong answer teaches us much more than simply that the answer is wrong. Models are either stochastic or determinate. Deterministic chaotic system are effectively stochastic because they require infinite computational precision. Any round off and the results diverge from reality in a completely random fashion. Which is what the climate models are showing us. Run the same model twice without any change in the forcings and it gives you a different answer. Run the model a billion time and it will give you a billion different answers, for the exact same combination of forcings. How then can climate modellers turn around an say that doubling of CO2 will cause X degrees of warming, when their own models tell them this is a lie. The models tell them and us that doubling of CO2 may cause X degrees of warming, or it may cause Y degrees, or it may cause Z degrees. The models do not say that (X + Y + Z) / 3 is the right answer. That is the model builders saying that. The modes say that X or Y or Z are ALL the right answer. Think about this for a minute. The models are not saying that the answer is X or Y or Z. The models are saying that X or Y or Z are all correct. The reason we have such difficulty with this is that most people perceive the future as some place we are traveling to. Quantum mechanics tells us something quite different . There are an infinite number of futures, all or them perfectly valid under the laws of physics, and X or Y or Z exist in different futures, but they are all perfectly valid physically. The climate models are simply confirming something physics has recognized for many years. We will arrive at one of these futures, where X or Y or Z (or some other answer) will be true, but which one is for all intents and purposes a throw of the dice, beyond our ability to calculate in our wildest creams. I’m confused. Is “real climate” the one that actually exists or is it the fantasy climate? But in 2007 the Met Office “predicted” that 50% of the decade from 2009 would be warmer than 1998. Science – 10 August 2007 – Doug M. Smith et. al. Previous climate model projections of climate change accounted for external forcing from natural and anthropogenic sources but did not attempt to predict internally generated natural variability. We present a new modeling system that predicts both internal variability and externally forced changes and hence forecasts surface temperature with substantially improved skill throughout a decade, both globally and in many regions. Our system predicts that internal variability will partially offset the anthropogenic global warming signal for the next few years. However, climate will continue to warm, with at least half of the years after 2009 predicted to exceed the warmest year currently on record. Who said climate scientists don’t do predictions? Is anyone else struck by the discontinuity by which we suddenly decided in the 1990s that we could forecast global average temperatures for the next 100 years within a degree or two? ‘Forecasts’ are done for weather by your local bureau. As no one can predict the future of GHG emissions, IPCC give an upper and lower bound for a range of scenarios, called projections. The full range of all scenarios is 1.1C to 6.4C increase by the decade 2090 – 2999 relative to 1980 – 1999. Skepticism and criticism is vital, but useless if it doesn’t reflect the premises it is addressing. With five coin tosses you can get a flawed result compared to the average you expect. Over time the results converge with the average. Not much surprise the same should hold true for climate models, with weather representing coin flips, but this should not be confused with the averaging process on weather and interannual variability regarding centennial models. Fluctuations even out over the long-term. Note: The Nature article starts off with Dr. Dough Smith and the Met Office I mentioned above. It’s a pity that some incautious commentary can lead to misconceptions like this. WMO announced that 10 years is the absolute minimum to get a climate state, not a trend. They compared consecutive 10-year blocks, so their minimum period to detect a change in climate is actually 20 years – a comparison of 2 averaged data points. To assess if there is a trend would require at least 3 consecutive decadal averages – 30 years. This is, coincidentally, the classic climate period as defined by the WMO. It may be that some people come away from this article believing the Nature article canned centennial-scale climate models, which is not the case. An analysis of the ensemble6 shows much the same pattern as Smith’s 2007 prediction: temperatures start out cool and then rise sharply, and within the next few years, barring something like a volcanic eruption, record temperatures seem all but inevitable. If at first you don’t succeed try, try and try again. Just how much more failure can these idiotic Nintendo players take? Instead they should use 100 chimpanzees throwing dart boards and using the ensemble mean. If one reads TFA, one notes that it only addresses the effort to predict short term climate, less than a decade. Here the models disagree with the long term climate models and actually have some skill, although they are still too warm. What Trenberth is asserting is that the long term models have skill because they worked great to predict the temperature rise in the 80s and 90s (bearing in mind that they were built in order to do so). So he claims that the long term models are still skillful, but only in the longer terms, so that nature itself is “incorrect” and so are the short term models, it being only an accident that either one is lower than the long term climate predictions. He could be correct, but he isn’t correct in asserting the model skill yet, because in predictive modeling the proof of any model isn’t in its ability to predict the training set, it is its ability to predict a trial set independent of the training set and more to the point, to successfully predict new data that is in neither training or trial sets, as this is where the money lives. This is, by the way, not an idle observation as I am a friggin’ professional expert in predictive modeling on my second company in the field. In the meantime, the article carefully fails to point this out. But that doesn’t matter — the fact that they are publishing it at all suggests that the light is slowly dawning in even the minds of the editors of Nature. Perhaps, in accordance with your previous papers on the ability of the models this could instead be worded; “…Yet another problem is that the GCMs individually and collectively produce a mass of pseudo-predictive spaghetti that isn’t even consistent run to run within a single model…”? Sure the the models diverge from reality in 5 or 10 years, but, really, they are accurate in 100!! Besides what RGB pointed out, there are numerous quotes in the article by climate scientists admitting the models are crap and they have no clue. It is a miracle it made it into print at all, let alone in Nature. Orwell’s prediction was fulfilled on schedule but remained invisible to the public until Climategate emails were surriptiously released in Nov 2009. PS: Another EMP (electro-magnetic pulse) from the Sun’s pulsar core – as happened in the late 1850′s – may be required to knock sense into world leaders and make them admit that they cannot enslave mankind nor control Earth’s climate. Come on guys. 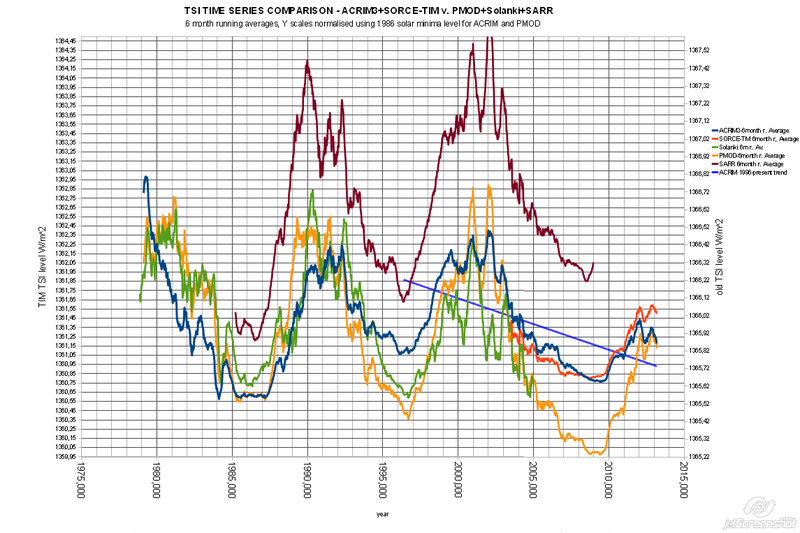 There are multiple failures/discrepancies (at least four) of the general circulation models and the CO2 forcing theory. The article should list all of the failures and should explain the logical implications of each discrepancy. An analysis of the four discrepancies indicates that the majority of the warming in the last 70 years has due to solar magnetic cycle modulation of planetary clouds rather than the increase in atmospheric CO2. 1) There has been a warming plateau for 16 years which is a more serious discrepancy than a lack of warming. As atmospheric CO2 has been increasing continually for the last 16 years and as there is a lag from an increase in forcing to a change in temperature, the general circulation models predict a wiggle increase in planetary temperature where the wiggles are caused by natural variability in the climate and the gradual increase is caused by the increased forcing due to the increase in atmospheric CO2. What is observed is not only a lack of warming but rather a plateau of planetary temperature. … ….The logical constraint on the forcing mechanisms is different for a lack of warming (planetary temperature is still increasing but less than the general circulation models prediction) and a plateau where there is no increase in planetary temperature. … ….Aerosols or heat hiding in the ocean could explain a lack of warming, where planetary temperatures are increasing but less than model predictions, they cannot explain a plateau of warming. … ….The CO2 forcing mechanism cannot be turned off, if it is real. As atmospheric CO2 is continually increasing the aerosols or the heat hiding in the ocean would need to exactly balance the CO2 forcing and to start in 1998. i.e. There needs to be a mechanism that hides the CO2 forcing that is suddenly turned on in 1998 and that hiding or cooling mechanism must increase overtime to create the observed plateau in planetary temperature. In addition the hiding or cooling mechanism needs be activated quickly in 1998 as there is no period of gradually increasing temperatures. To explain a plateau where there is no increase in planetary temperature during a period when atmospheric CO2 is steadily increasing, the CO2 mechanism must saturate. The logical constraints of the other observational discrepancies indicate that the CO2 mechanism saturated at say 200 ppm, less than the pre-industrial atmospheric CO2 level, 280 ppm. 2) Observed warming is not global. As atmospheric CO2 is evenly distributed in the atmosphere (less than 5% variance by latitude) the potential for CO2 forcing in the atmosphere is roughly the same for all latitudes. The actual forcing at the latitude in question due to the increase in atmospheric CO2 should be proportional to the long wave radiation that is emitted off to space prior to the increase in atmospheric CO2. Based on how the CO2 mechanism works therefore the observed warming should be global with most of the warming occurring in the tropics, based on the CO2 theory. What is observed is that the Northern hemisphere ex-tropics experienced twice as much warming as the planet as a whole and four times as much warming as the tropics. Furthermore the Greenland Ice sheet experienced the most warming on the planet (2 to 3C). The observed latitudinal pattern of pattern cannot be explained by the CO2 mechanism. The aerosol forcing is highest in the Northern Hemisphere. If aerosol where the reason for a plateau in warming the Northern Hemisphere should have warmed less than the global as a whole. The aerosol forcing does not explain why the Greenland Ice sheet warmed the most of any region on the planet or why there is very little warming in the tropics. 3) Tropical tropospheric hot spot is missing. The general circulation models predict that the most amount of warming in terms of change in temperature should be in the tropics in the troposphere at around 8km above the surface of the planet. This warming is due to increased water vapor due to warming of the tropics by the CO2. The warming at 8 km if it occurred would amplify the CO2 forcing. There is no observed tropical tropospheric warming. In addition, analysis of changes in radiation when there is a change in ocean temperature indicates the planet resists forcing changes by an increase or decrease in planetary cloud cover in the tropics which results in more or less radiation being reflected off to space, rather than amplifies forcing changes. These two discrepancies are logically supportive. Part of the reason why there is no tropical tropospheric hot spot is that the clouds in the tropics increase or decrease to resist forcing. Part of the reason why there has not been significant warming in the tropics is the cloud change in the tropics to resist forcing. Roy Spencer: Ocean surface temperature is not warming in the tropics. 4) There are cycles of warming and cooling in the paleo-climatic record that correlate with solar magnetic cycle changes. The same regions of the planet that warmed in the last 70 years are the same regions that warmed in the past. An example of the past cyclic warming is the Medieval Warm period which was followed by the Little Ice age when the solar magnetic cycle entered the Maunder minimum. The past warming and cooling cycles were not caused by changes to atmospheric CO2. There general circulation models cannot produce the past warming and cooling cycles that is observed. Well I thjnk the models are consistent, indeed, remarkably consistent. The are consistently TOO WARM, They are consistently wrong in one direction. (To a normal person this may cause them to look for one component, consistent in all the models, that ALWAYS produces too much warming.) That component is senstivity to CO2. “Although I have nothing against this endeavour as a research opportunity, the papers so far have mostly served as a ‘disproof of concept’,” says Gavin Schmidt. Schmidt says that these efforts are “a little misguided”. In exactly the same way, the operative term “A little misguided” also still means WRONG. And before I drop it, let’s get one thing straight about the word “disproof” and its antonym: Proving something correct is not possible in science. Again, ask Feynman. A falsifiable experiment can prove a hypothesis WRONG, but it cannot prove something correct – because you may have not considered every possible situation, no matter how much you’ve tried. Someone centuries later may find a process or piece of evidence that does not work. Feynman brought up Mercury’s orbit, which took until the 1900s to find did not conform to Newton. Now this is just b.s. parsing of words. Saying that “the real world warmed less” when in actuality the warming was zero or sightly negative is just mendacious lying – trying to put a non-negative spin on the whole “real world” evidence. If your starting “guess” (Feynman’s term) produces certain testable calculable predictions, and then “experience or experiment” disagrees, your guess was WRONG. And if you do NOT have testable predictions, then it is not science. Meaning that scientist are obligated to make those guesses – and in so doing, putting their intelligence on the line – in a put-up-or-shut-up mode of inquiry. (Thanks to Robert Hooke for that.) And if their guesses are shown to be wrong too many times, those scientists go into the round bin of history – and deservedly so. no. this is not true. Climate does not converge to an average, except in infinite time. The reasons are well established. the law of large numbers only holds if the data has a constant mean and deviation. which is true for a coin toss, but certainly not true for climate. chaotic data by its nature does not converge to the average because it has many averages, one for every attractor. Because the attractors operate at different time scales the average changes as the scale changes. Only at infinity is does the average converge. Thus, because climate is the average of chaos, like a coin toss if will eventually converge on the average, but unlike a coin toss this will not happen on 100 years of 1000 years. Rather the models will converge at infinity. See, now this is simply denying responsibility. It’s not the concept that is WRONG (disproved), it is the papers that are the bad guys. Not “the real world” and not the “concept” in the forst place; it is the PAPERS. Nasty old things, PAPERS that disprove concepts. Will Gavin now look for different concepts to explain and to put into the models? And TO TELL THE WORLD OF THE CHANGE OF MIND? Don’t hold your breath. To admit wrongness, Gavin would need to fall on his sword. Ain’t a-gonna happen. Chaos tells us the Trenberth was mostly right. the climate models may eventually track reality. but to do so in 80 years will simply be accidental, because the further you forecast into the future the more likely an unexpected attractor will throw your careful calculations out the windows. Now folks will say these events are rate, but the reply is you are talking about predicting climate 80-90 years in the future. these rare, unexpected attractors become more and more likely the further into the future you try and predict. It is like a coin toss where at some point in time the coin will develop a 3rd, 4th and 5th side. But you don’t know when. And you are then asked to predict the percentage of heads that will be thrown 90 years from now. Why does not 1 climate model start with the assumption that water feedback is negative and see if this improves their ability to track current conditions? Why does every climate model assume that feedback is positive when atmospheric moisture has been dropping as CO2 has been rising, opposite to the assumption of positive feedback? Why not try the models with negative feedback and see it they still predict the hot spot? Why not try the models with negative feedback and see if they still predict too high? Wouldn’t this be a much more reasonable approach than continuing to stick with the assumption that feedback is positive in light of the evidence that the current models are all predicting too high? What is the big deal in adjusting the parameters to try some model runs with negative feedback? Are the climate modellers so afraid that the results just might fit reality better than the assumption that feedback is positive? Positive feedback has never been proven. It is simply a guess and it has been contradicted by the physical evidence. Isn’t it high time to test some alternatives that better fit the observed data? Why oh why are the climate modellers continuing to stone wall on this subject and waste billions of dollars on model runs that show no skill, yet fail to use the models to test the alternative hypothesis? Why does everyone ignore the elephant in the room? Positive feedback is a failed hypothesis. CO2 warming isn’t the failed hypothesis. Rather the failure is the assumption that water amplifies CO2 in the way that the models all assume. It’s 10 years till models can be reality-tested, and always will be. Hah! My rather intelligent 35 year-old Son based his ‘Belief’ in the settlement of the science on . . . wait for it . . . “The Models”. You can’t make funnier stuff up. An airplane designed by Climate Modelers would be nothing more than a smoking hole in the ground. This is “settled science”. Let’s move on to unsettled things, shall we?